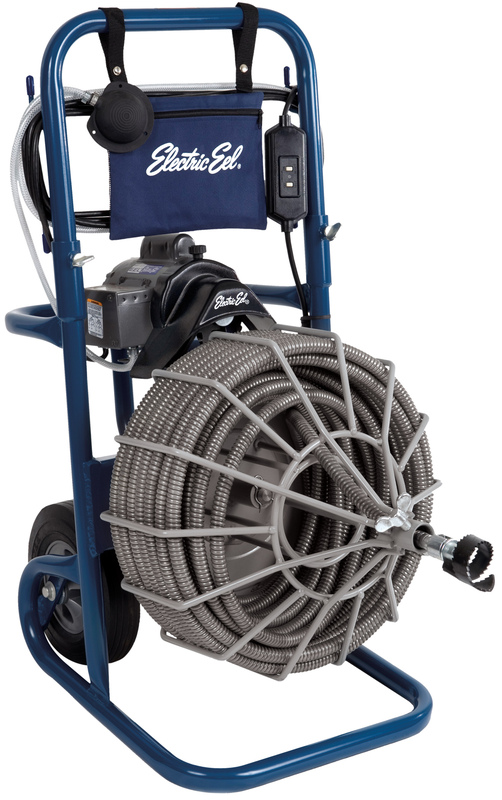 The Model R is designed to clean 3”-6” lines for distances up to 100’ and is ideal for both the homeowner and contractor. 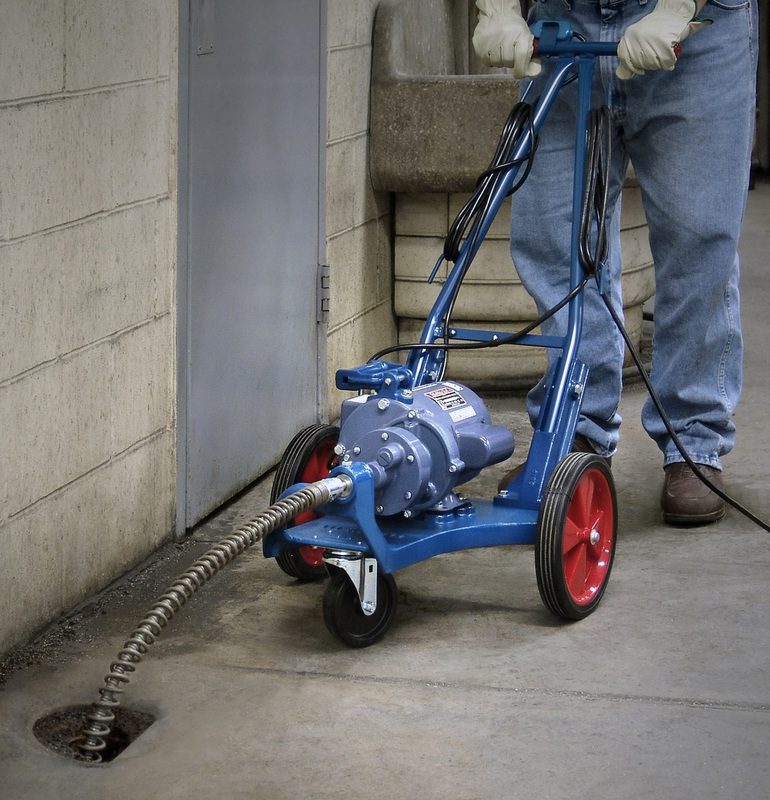 The unit runs either 5/8” or ¾” cable and is built on a rugged 1 ¼” steel tubing frame with an open cage for quick inspection and easy cleaning. Large 10” wheels allow for easy maneuvering and a 20” power cord with a built in GFCI protects the operator. A typical application for the Model R is cleaning tree roots from a main sewer line that runs from the house to the street. Snap-lock tool connector holds cleaning tools securely in place; no screws required to connect tools.